When you bring guests to your home, you want their first impression of your property to be stunning. Your entry door and windows have an immense impact on the curb appeal of your residence. These features also affect the overall design of your interior living spaces. At Vogel Home Improvement, I help vastly improve the beauty of my clients' homes from every vantage point by installing new replacement windows and doors in Anchorage. For the last two decades, Vogel Home Improvement has been the preeminent source for remodeling contractor services in the Anchorage area. My customers have come to trust me with all their home improvement needs. I have been successful for so long for one simple reason. In every project I undertake, I work my hardest to maximize customer satisfaction by providing the highest quality and most customized home remodeling services possible. I take pride in being a local Anchorage remodeling contractor, and I make sure it shows in the results I produce for my clients. If you are planning to install new windows and doors in Anchorage and you want to hire a remodeling contractor dedicated to customer service and satisfaction, call Vogel Home Improvement. I would be happy to take your call and to help you get this effort started. I can answer any of your remodeling questions and can schedule your appointment today. The front entry door of your property is absolutely vital to the look, feel, and usability of your home. Installing a new door on your property can dramatically improve how you, your family, and your guests view your residence. 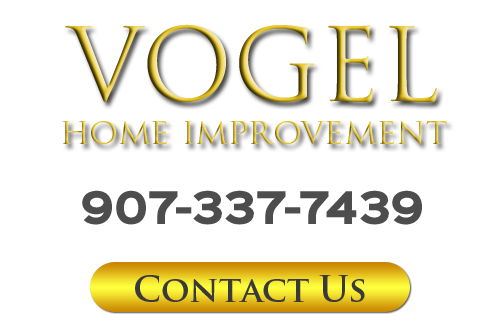 At Vogel Home Improvement, I can help you select and install the best entry door for your home. As an experienced Anchorage remodeling contractor, I am adept at installing all types of entry doors including wood, composite, aluminum, and steel doors. I can help you find beautifully ornate decorative glass doors as well. I will ensure that your new door can stand up to the harsh weather conditions of Anchorage, too. I will install your door in the most precise manner to ensure optimal performance. 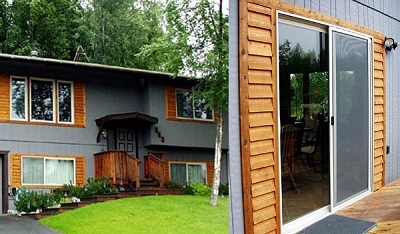 If you would like an estimate for replacement windows or doors in Anchorage or nearby, please call 907-337-7439 or complete my online request form.